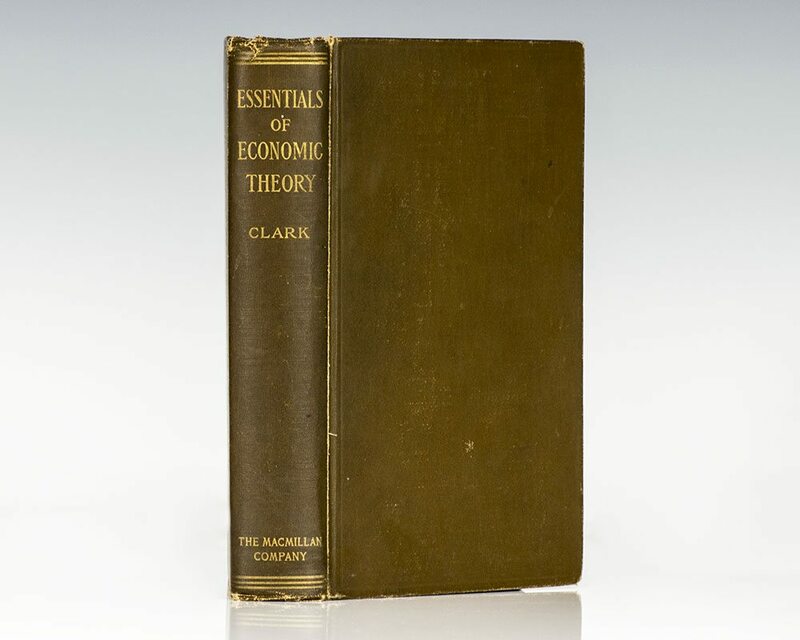 Essentials of Economic Theory: As Applied to Modern Problems of Industry and Public Policy. New York: The Macmillan Company, 1909. First edition of this early work by John Bates Clark. Octavo, original cloth, gilt titles to the spine. In very good condition with light marginala.